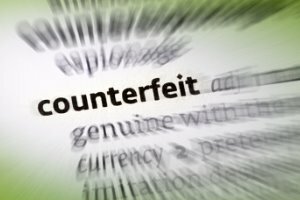 This study, which began in earnest in 2013, estimates that 7.5% of the entire EU economy has directly been hit by counterfeiting. The impact is immense. €16 billion annually in pharmaceutical sales are lost to counterfeiting, while 8.9% of the cosmetics/personal care industry and 6.9% of the wine and spirits market are lost. “Abundant value, lenient sentences and high returns on investment, define the incentives for criminal gangs to engage in counterfeiting activities. The modus operandi of such gangs is becoming increasingly complex as technology and distribution channels evolve, hand in hand with the breadth of products being counterfeited. This is precisely why Systech introduced UniSecure. Despite the numerous measures brands are putting in place to thwart counterfeiting, it continues and is a growing threat. Most compelling to me is UniSecure’s non-additive, covert nature—deriving a product’s unique identifier, or e-Fingerprint, from the existing barcode on the package. Counterfeit gangs could never replicate this measure, thus making it a trusted solution to protect brands from the safety and bottom line pitfalls of being counterfeited. Smartphone-enabled field authentication by inspectors and even consumers on products protected with UniSecure will immediately detect counterfeit products. This can lead to much quicker investigation turnaround to discover and stop the parties responsible. Not to mention the consumer safety benefit of discovering counterfeit products sooner rather than later.